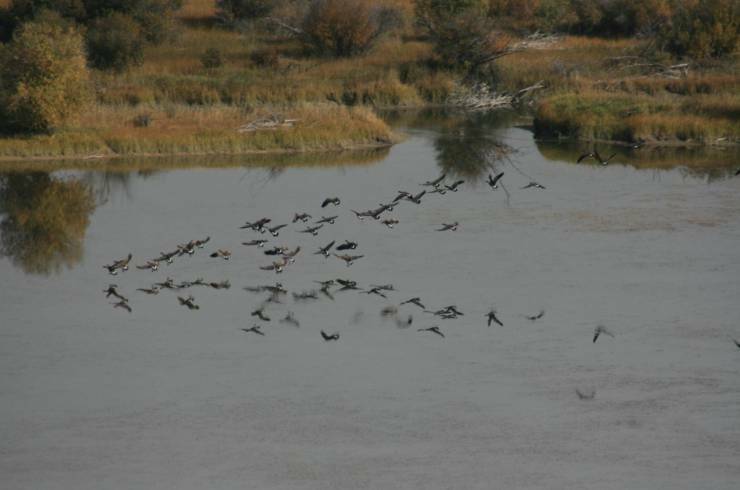 This year, Wildsight Golden is wrapping up the Columbia Wetlands Waterbird Survey (CWWS). This project will be in its fifth and final year and we hope you can join us to participate in the valuable initiative! Since 2015, the CWWS has engaged more than 170 volunteering citizens in documenting more than 322,000 birds in the Columbia Wetlands. A limited number of high quality optical gear sets can be lent to those in need. Free bird ID training is available to all participants. To register or for more information, contact the Program Biologist at racheldarvill@gmail.com, or call 250-344-5530. What is the Columbia Wetlands Waterbird Survey? 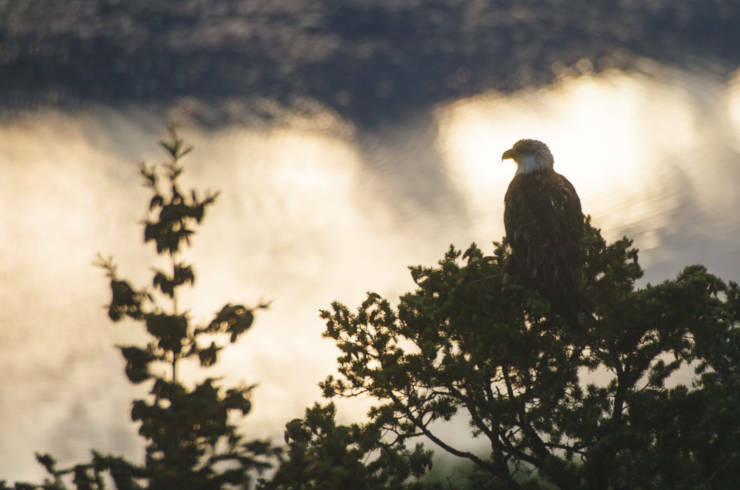 The CWWS is a coordinated bird count that utilizes citizen-scientists to gather baseline data. There are many important outcomes of this project, including scientific contributions for species at-risk. Beyond data collection, this community-based project aims to enhance and maintain the biodiversity and habitat of the Wetlands through increased awareness (e.g. school-aged education programs) of its ecological significance. By providing an active citizen-science role, volunteers are becoming directly engaged with wildlife and local landscapes making them better informed to make sustainable personal decisions with positive actions in the wetlands. It is our hope that this data will also result in the Columbia Wetlands being designated as an ‘Important Bird and Biodiversity Area’ (IBA). Important Bird and Biodiversity Areas hold significant conservation value for the habitat they provide to birds. 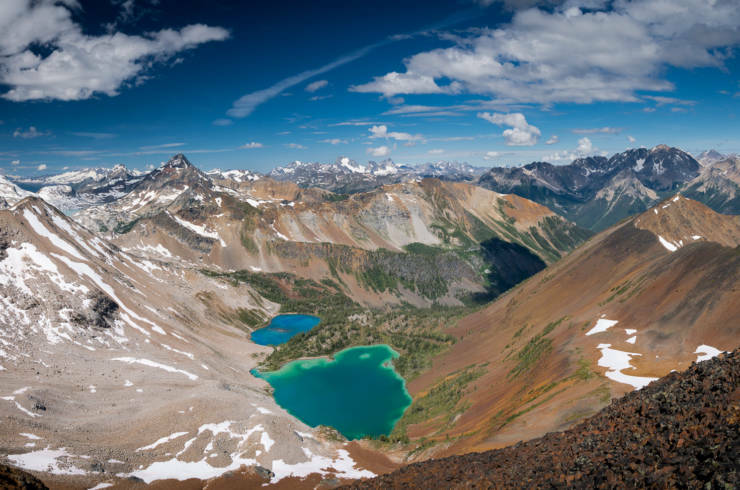 The goal of the IBA Program is to identify, monitor and protect the most vital areas of bird habitat in Canada so that conservation action can be directed in the most effective way possible. Canada’s IBAs are part of a global system of more than 10,000 sites worldwide, which gives them a conservation currency that transcends borders and promotes international collaboration for protecting the world’s birds. 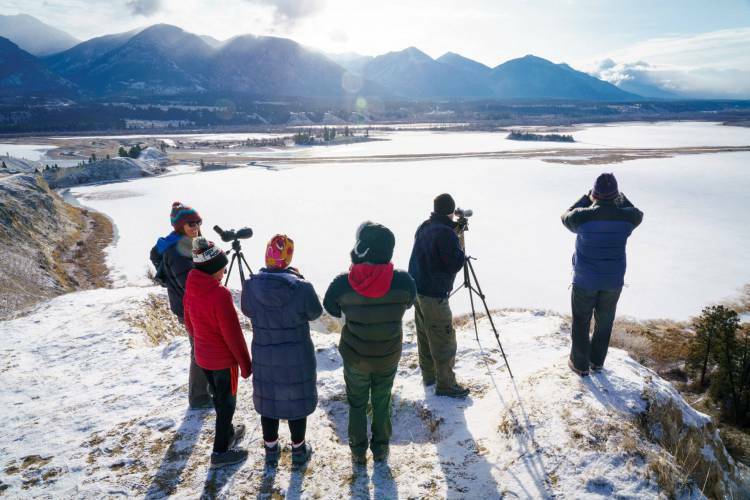 Designation as an IBA has profound benefits: ; it can influence land-use planning and decision-making; it allows for the collection of baseline data leading to on-the-ground habitat action projects, and it can increase tourism around birding. We deliver school-aged and adult educational opportunities so that community members can learn more about wetlands and birds. 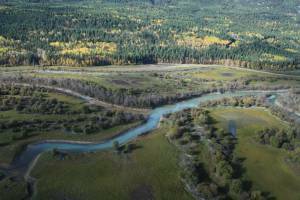 Helps fulfill Ramsar and Columbia Wetlands Wildlife Management Area responsibilities. Connects local residents with the Columbia Wetlands ecosystem by getting them engaged in citizen science. We are investigating possible locations for Columbia Wetlands birding infrastructure, e.g. bird blinds, board walk. Before further conservation actions are recommended or implemented for the Columbia Wetlands, we need to determine where the the most significant migration stopover habitat units are located; we are doing this. We are learning where specific and significant habitat parcels are located in the Columbia Wetland that are utilized by at-risk birds such as the Western Grebe, Horned Grebe and Eared Grebe. We form partnerships and develop collaborations with other birding and wetland conservation organizations. Ready to get involved? We are actively recruiting volunteers for this exciting large-scale citizen-science initiative. Free training sessions are held prior to each round of survey dates. These sessions cover bird identification techniques, data entry and the protocol used to count and ID birds. Survey dates for 2019 are: Wednesday April 3rd, Wednesday April 10th, and Tuesday April 16th. The fall survey dates are Sunday September 29th, Saturday October 5th and Tuesday October 15th. VIEW THE FALL 2018 RESULTS HERE. VIEW THE 2018 SPRING SURVEY RESULTS HERE. VIEW THE 2017 FALL SURVEY RESULTS HERE. VIEW THE 2017 SPRING SURVEY RESULTS HERE. VIEW THE 2016 FALL SURVEY RESULTS HERE. VIEW THE 2016 SPRING SURVEY RESULTS HERE. VIEW THE 2015 FALL SURVEY RESULTS HERE. VIEW THE 2015 SPRING SURVEY RESULTS HERE. DOWNLOAD THE WATERFOWL IDENTIFICATION GUIDE HERE. To read our Spring 2017 newsletter, click here. To read the magazine article in PHOTONews Magazine featuring CWWS, click here. To see our CWWS brochure that is being distributed throughout the region, click here. 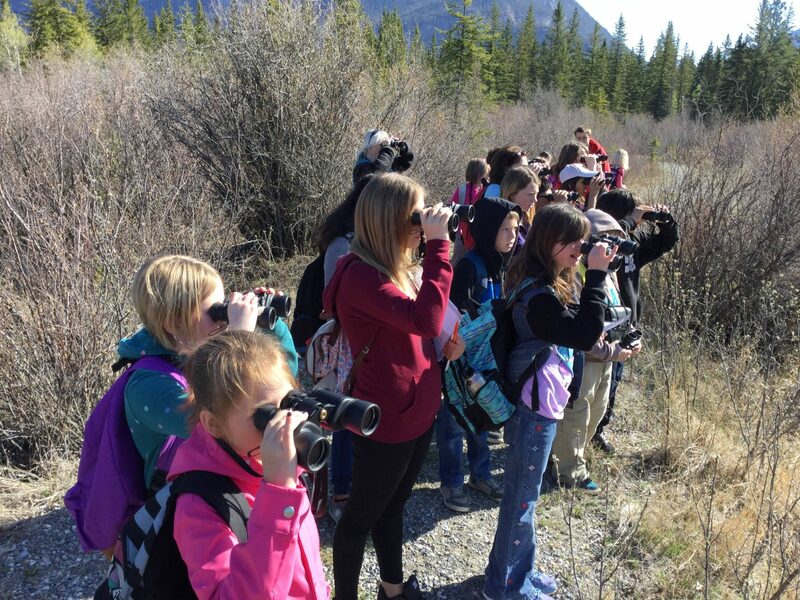 This program is supported by: Columbia Basin Trust, Columbia Shuswap Regional District, The McLean Foundation, Vancouver Foundation-Stewart Fund, Wings Over the Rockies, Columbia Wetlands Stewardship Partners, and the Province of BC (Gaming Grant).